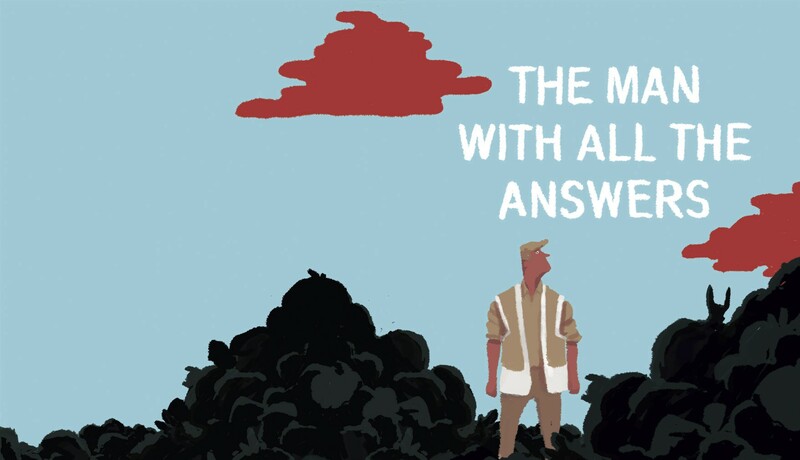 The Man with All the Answers is a short story written by me, Mikael, and drawn by Olle Forsslöf of the infamous PEOW! Studio. It’s about garbage, knowledge, acknowledgment and anything you want it to be about. We’ll be posting more work from the two of us soon! This is great. And I love that Soviet Cinema is a topic on the quiz show. Jag tyckte om den! Ge mig mer!